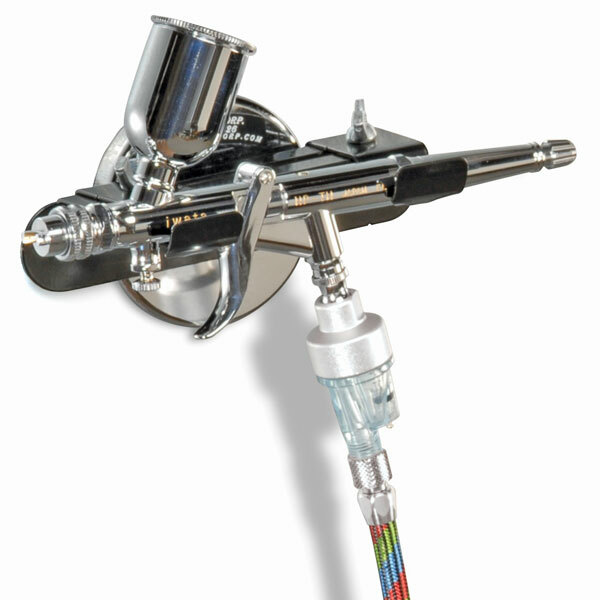 Store your airbrush safely and securely. The Air-Port Hanger's adjustable sliding arms will accommodate most models and feed types. Constructed of solid 18-gauge steel, it attaches to most metal surfaces via powerful mounting magnets or bolts.